Last year, strong pitching and defense were the formula that resulted in an Ontario University Athletics championship, and much of the core of that formula still remains. Their pitching rotation is considered possibly the best in Ontario and is headlined by Jordan Petruska, who posted a 1.94 ERA last year. This is team that believes it can repeat, but will have a large target on their backs this year and will face some great pitching. After a disappointing 1-7 finish a season ago, the men’s football team is determined to prove that last year was not representative of their potential. Coach Michael Faulds is heading into his second season, but this time with a team that has experience and veteran leadership. Despite their record, this team was known around the league as tough to play against and got better as the season went on, according to their coach. Look for former OUA leading rusher Dillon Campbell and top CFL prospect Chris Ackie to have big years. Women’s soccer was looking for a breakout season last year, and they got it. Good team play and a determined attitude provided them with a strong season that ended in an OUA championship. Seven of the team’s players played together on KW United Football Club this summer, so look for a similar squad with even better team chemistry this upcoming season. 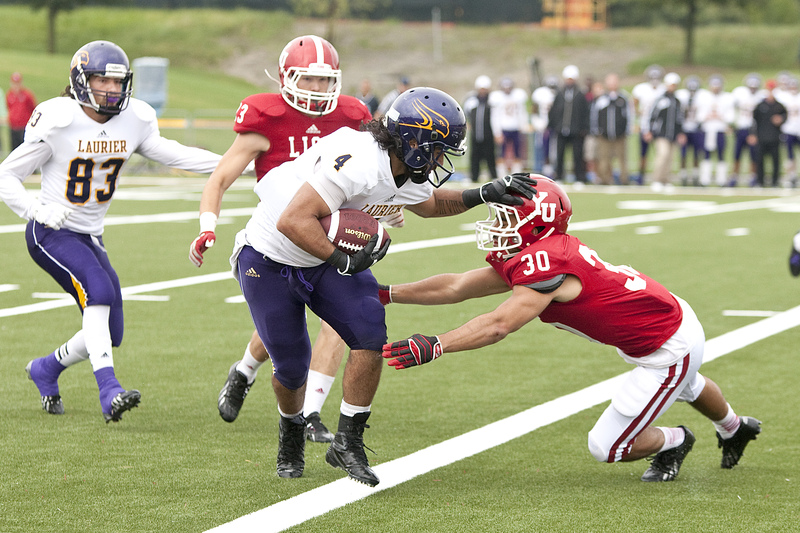 After falling in the OUA quarter finals a year ago, the team is looking to regroup and get a better result this year. They have a gritty team and have a significant amount of experience. They will be pushing to take their game to the next level, and be considered less of an underdog around the league. After failing to record a single tally in the win column a year ago, a new coaching staff and new team philosophy will be the major components in trying to turn this team around. New head coach Ian McLeod hopes to be the long term solution to this program’s problem with his ability to recruit new talent. He and his staff are looking to instill a more competitive fire in this group. Look for them to put up more of a fight this year.